I hit 18 weeks on Tuesday. I'm starting to feel little flutters when I lay down at night. I'm showing for sure. All is the same in this pregnancy, with a few added varicose veins (compression knee highs are my bff right now.) I'm enjoying being pregnant and I try to never take this little life inside of me for granted. The four of us couldn't be more excited about adding another person and personality to our family. I have no "feeling" as to what the gender is. I never do, though. But boy will it be fun to find out this time at birth!!! Babies in McIver / Green land!! I can't believe it's 2013. Not sure about you... but we are just now, like maybe today, finally getting back into the swing of things after the holidays! Kind of. Ha! It was so nice to have Chris home for a little over a week, and it's taken a bit to get back into everything. Sleeping schedules, eating non-holiday food, everything! We enjoyed it. We're not huge fans of winter. Feeling a little cooped up! Bella asked me a couple of days after Christmas, "So, is winter over now?" (It was only 50 degrees by the way). I had to inform her it had in fact just started. She replied, "We aren't winter girls, mom. We are beach girls." I have to agree. We were happy to celebrate Hallie and be with family this year. Glad to have the one year marker behind us. I thought it was going to be easier than it was, to be honest. I am pretty sure I say this every blog post... but the roller coaster of grief. Surprises me every time. I've learned what hits home for me, and it's basically anything sad - movies, real life tragedies, etc. - anything that is too close to my reality. So I stick to comedies and try not to read many stories. There are plenty just in our circles. I just stay away from the news and things like that. ANYWAYS!!! 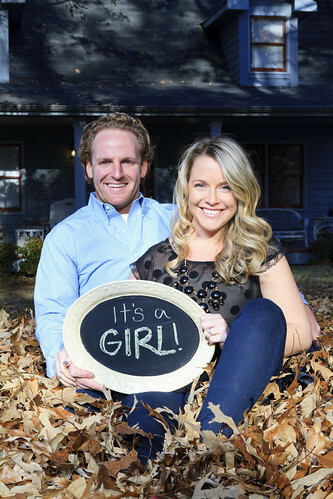 I got on here to share some exciting news for our whole family! We have so many little blessings for the Green and McIver families. We are just thrilled thrilled thrilled to share this! Three little babies coming (or just come) to town! 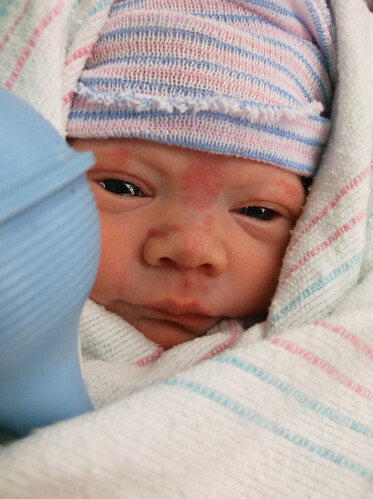 Aspen was born December 27th to Brian and Christina! Aspen wasn't due until Jan 7th, but came as a late Christmas present to the Green Family. 6lb 5 oz of sweetness. We are now Aunt Katie and Uncle Chris! 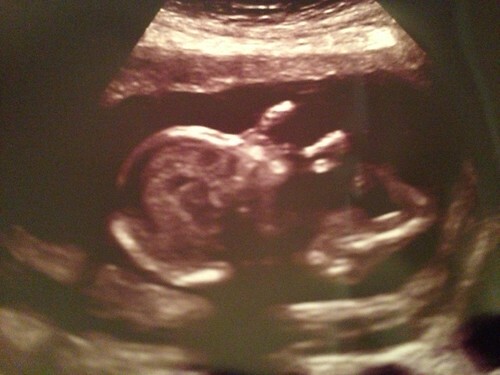 Second- Ryan and Melissa are expecting a little girl in May!! We are so excited for them!!!!! They are going to be wonderful parents and make some beautiful kiddos. I love seeing Melissa just glow - she's doing great and is about 22 weeks now. 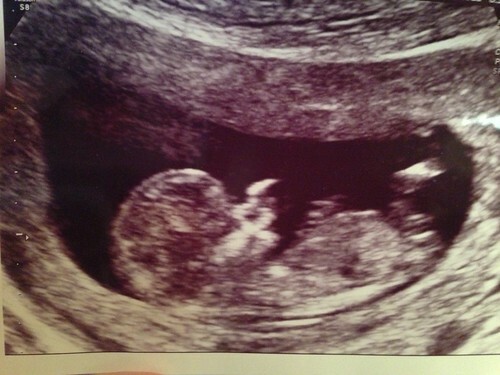 And third - Bella and Farrah are going to be big sisters again :) God is good. 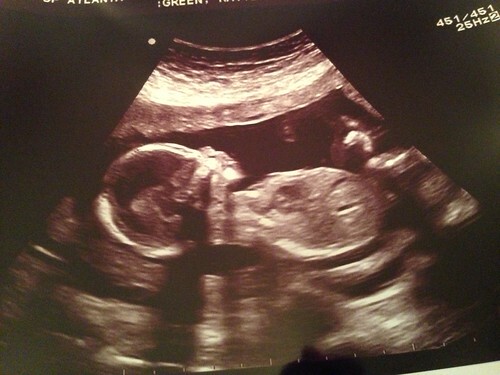 We are due 6 weeks after Ryan and Melissa, June 25th. I'm 16 weeks today. 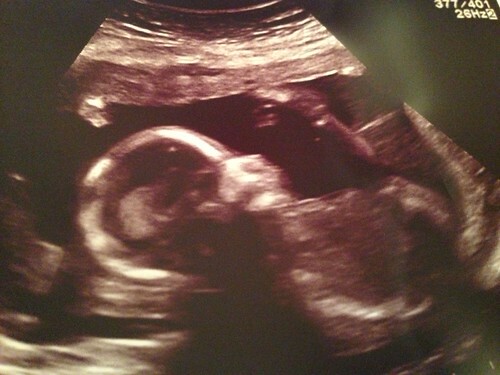 Here is a shot of our 12w ultrasound.